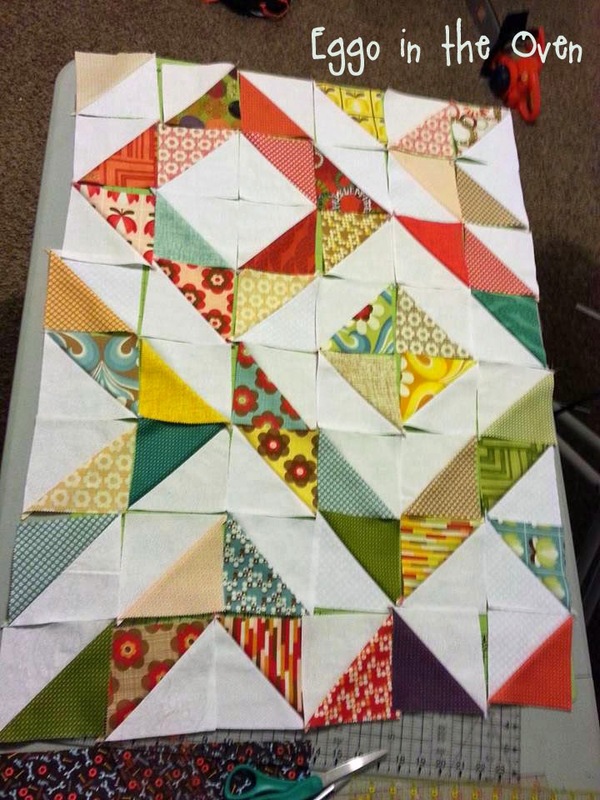 For this final week / challenge of Project Quilting we are to be inspired by triangles. Pretty quickly I decided to use a few charm packs I have had sitting on a shelf for nearly a year, mixed with a bunch of white-on-white fabrics. 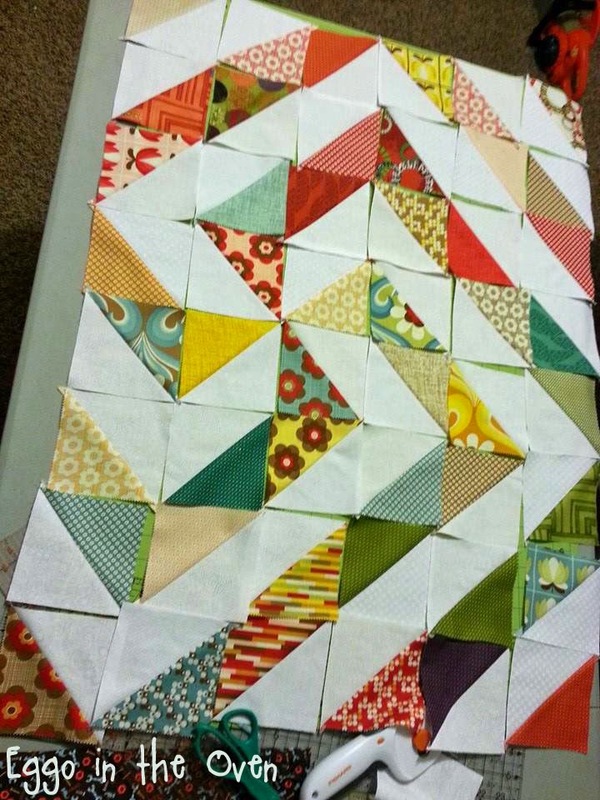 Then I browsed Pinterest, blogs I follow, and a few books I have on hand for some half square triangle inspiration. 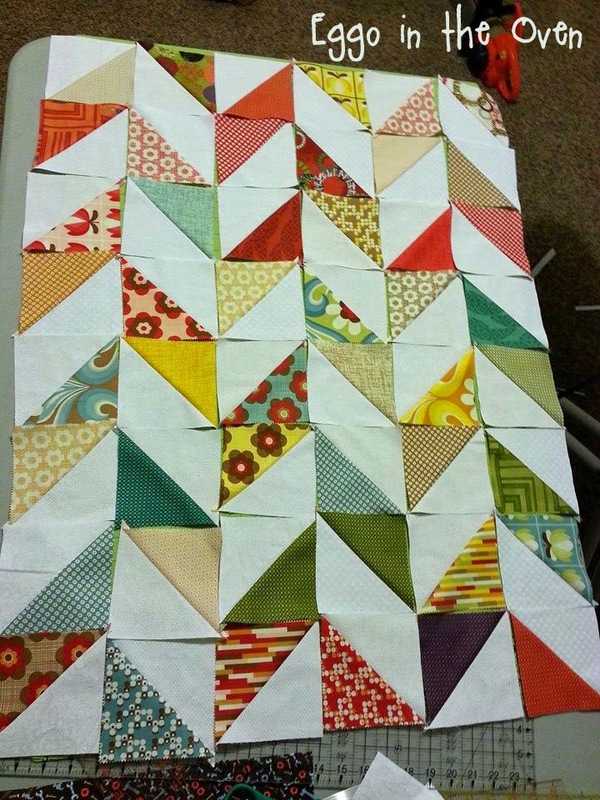 The way I'm going about this challenge / quilt is a bit different than my usual. Most of the time, I go in with a plan. A solid plan. One drawn out in colored pencils on graph paper. I had no set design in mind. Not much of a plan (relative to usual). It made me a little uncomfortable! 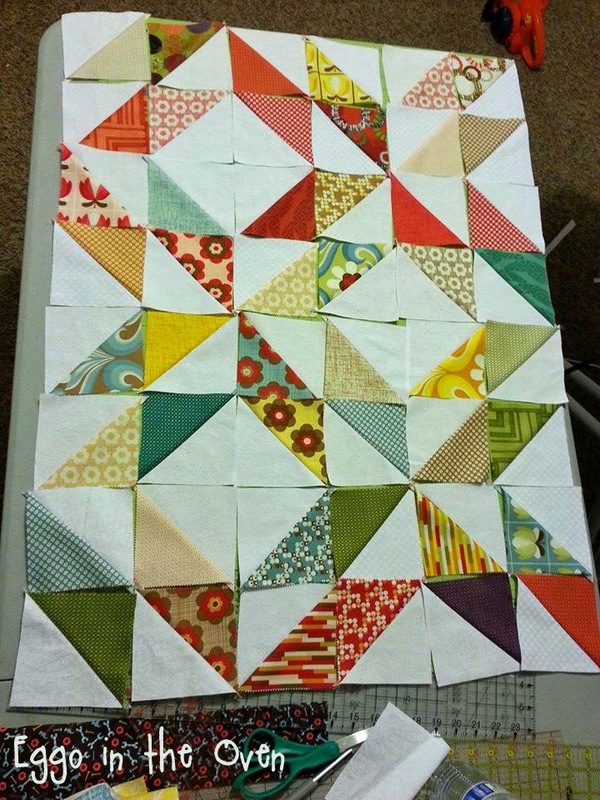 So last night I sewed up 130 HSTs - pairing one printed charm square with a white-on-white. There was no rhyme or reason to how I was sewing them (I have 5 or 6 different white-on-whites that I'm using). This morning, I started playing with the HSTs. 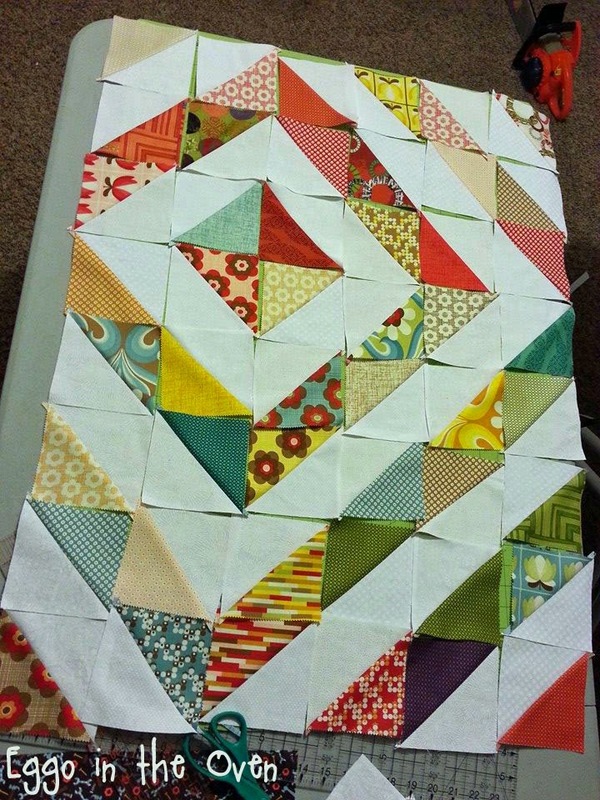 Using a few of the photos I had for inspiration, I re-created quilts / designs I loved. And I flipped a few squares and watched as the design changed. Over and over. These photos are from my phone - just snapped quickly so I could get a feel for what the various designs looked like. I have to say - taking the photos made a HUGE difference. I'm still deciding what design to go with (one of these..... or maybe something else?) - but this has been such a fun process - SO cool how many different things can be done with these blocks - and this is a VERY small sampling / example! 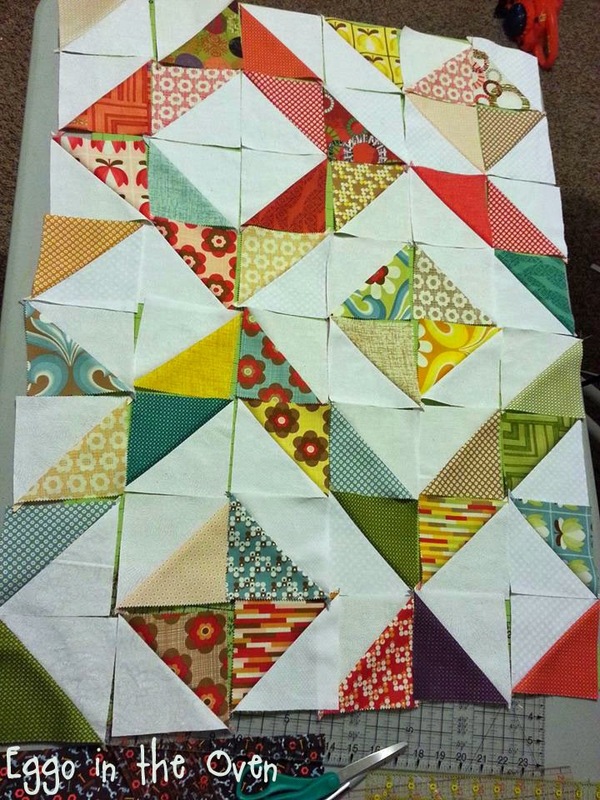 I'm not sure if I'll get a big ol' throw quilt done.... or if I'll need to scale down and complete a quilted throw pillow cover for the challenge and then get the quilt done very soon.... we'll see what kind of sewing time I can "steal" between now and Sunday morning! 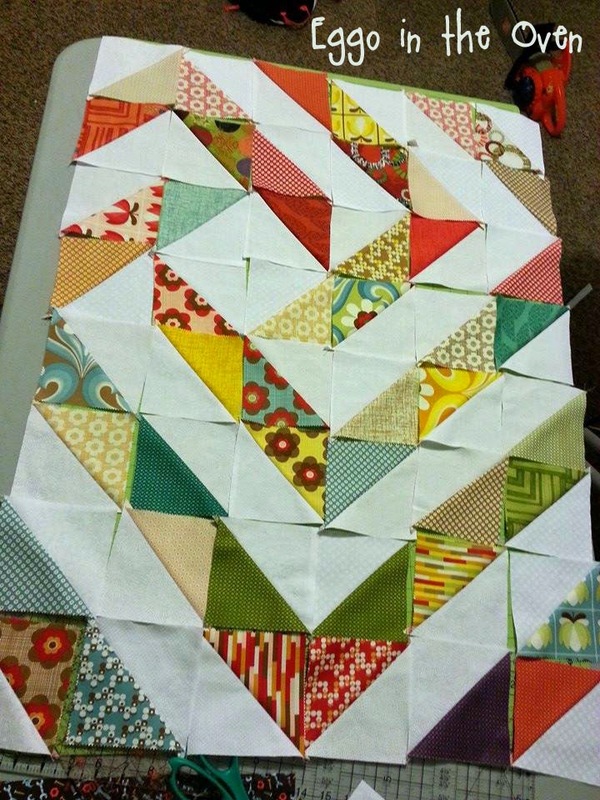 ....THIS is just one of the many reasons I LOVE Project Quilting!